I’ve only played a few games with crafting, but the basic approach seems to be that I collect some materials and then combine them into what I want to make. In some games the recipes are in the game; in others I have to find them on a wiki. 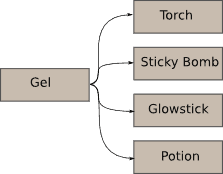 Many games have multi-step crafting, where I can use a crafted item as a material to craft another item. I either want to look forwards from the materials I currently have or I want to look backwards from the items I want to make. Games typically give me a UI that only shows a single step forwards. They can’t show the entire crafting graph because it’s typically too complex. In games with a complex crafting graph, help me explore it in the game so I don’t need to use a wiki to find the information. In games where I’m discovering crafting recipes, help me track what I’ve learned and what I’m missing. In games where I’m able to pick which materials to find, help me track goals like “make Hero’s Hat” that translate into subgoals like “find 9 seeds from the Jungle”. In games where I’m unable to pick which materials to find, consider adjusting the loot drop rates to favor materials that would be useful for the goals I’ve set. In the good old days, RPGs didn’t explicitly track the map or quests for you. Instead, you did it yourself, on paper. These days, RPGs have removed much of the mundane aspects of tracking things by automatically remembering things for you. 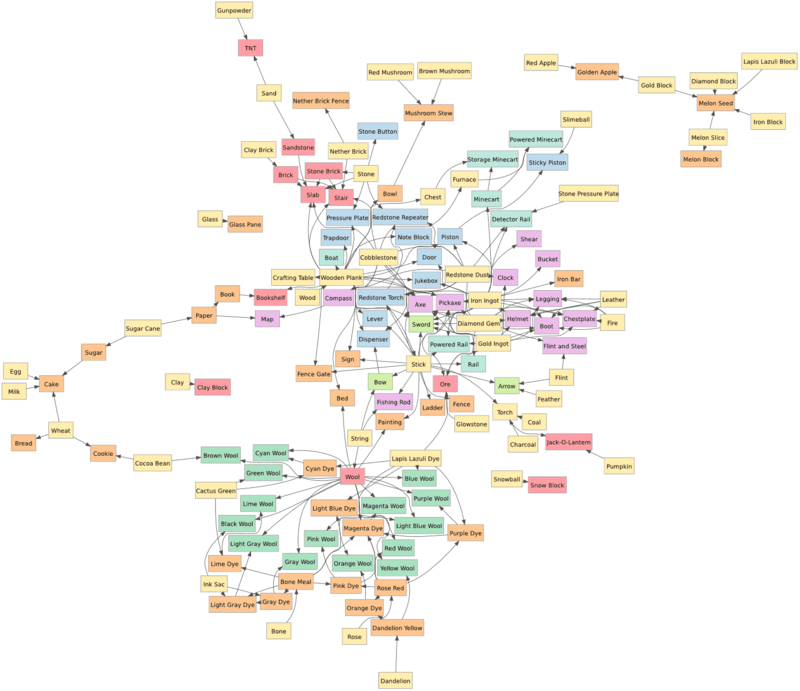 There are nifty interfaces for maps, skill/tech trees, quests, subquests, lore, and so on. I’d like to see that sort of thinking applied to crafting.